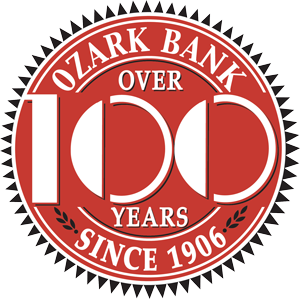 Ozark Bank was created by hometown men and women over a century ago. This small group of local people believed the folks of the Ozarks deserved a better way to have bank products and services. A better way to meet the growing needs of the region known as the Ozark Mountains. That was the humble beginning of Ozark Bank~ and today that desire still exists through the dedicated team of employees and up to date banking products. You will find everything you are looking for in a bank here~ whether for your family or business. A simple promise, yet one which demands our commitment to you. Here there are people just like you to listen and recommend the very best banking products and solutions to fit your needs. You deserve options. Checking account choices tailored for your needs and lifestyle. FDIC insured savings accounts to maximize your objectives. Home to auto plus all those needs in between. Your business drives the regional economy. Our business banking experts are here to listen and provide the insights learned over 113 years of service. Real time. Just like your business needs. Access all your accounts online anytime of day. This amazing region is called The Ozarks. The origin of the word Ozark is French and there are multiple interpretations of the word... we just call it home.